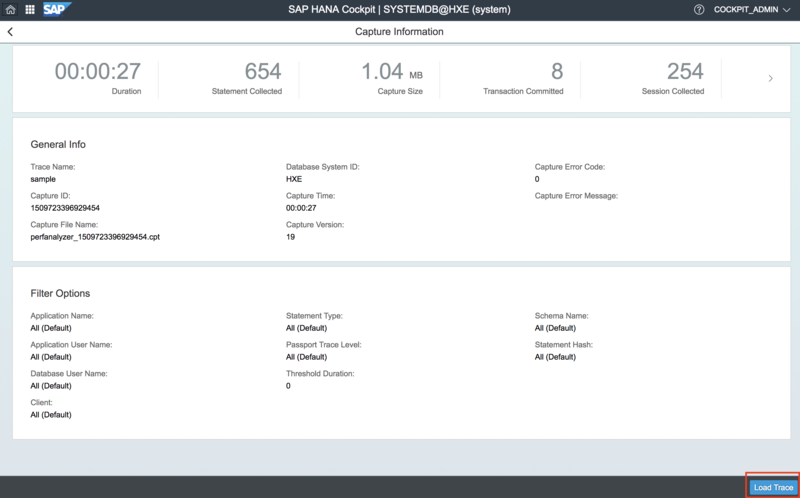 Earlier this week (October 31, 2017), the latest support pack for SAP HANA cockpit 2.0 SP 04 was released-to-customer (RTC). 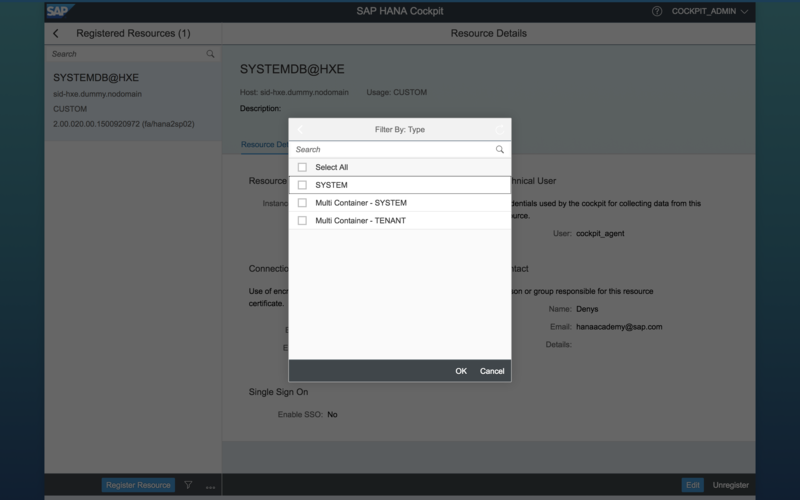 Support pack 04 introduces some nice new functionality to make administering SAP HANA systems easier, more secure, and more manageable for large scale deployments. 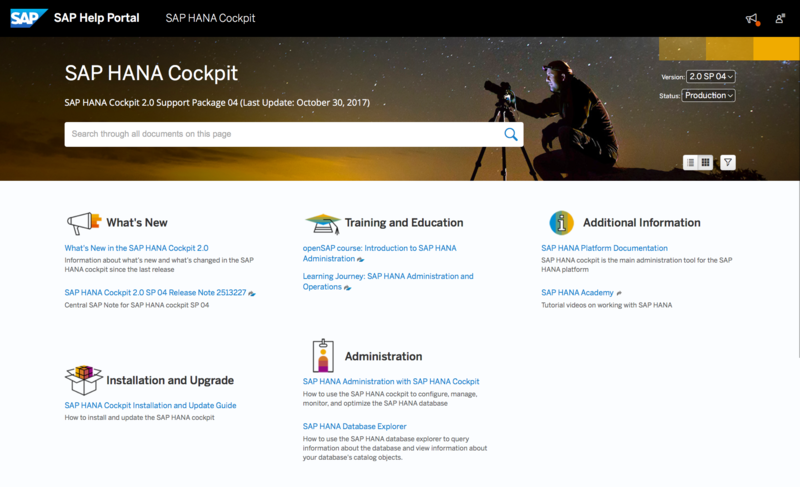 With a new home page on the SAP Help Portal and new guides, finding documentation and relevant information about cockpit has also been greatly enhanced. Below you will find the most important new features listed with reference to the documentation. New tutorial videos will be added in the upcoming weeks. As of SAP HANA cockpit SP 04, the latest cockpit documentation is available on SAP Help Portal. This includes the release notes, the Installation and Update Guide, the Administration guide, and education resources, including openSAP and the SAP HANA Academy. For tenant management, you can now copy and replicate a tenant database, reset the SYSTEM password and assign the operating system user and group (in case of high isolation level). As a tenant database administrator, you can now install and delete tenant-specific licenses in your tenant using the Licensing page. Previously, this was only possible using SQL. SP 04 introduces ‘soft’ stops for the SAP HANA system as registered resource with a configurable time (5, 15, 30 minutes). Previously, only immediate stops were avaiable. Single Sign-on (SSO) for registered resources has been available for some time in SAP HANA cockpit 2.0. With SSO enabled (or even enforced) the administrator no longer needs to enter a username and password each time a connection to the database is made. 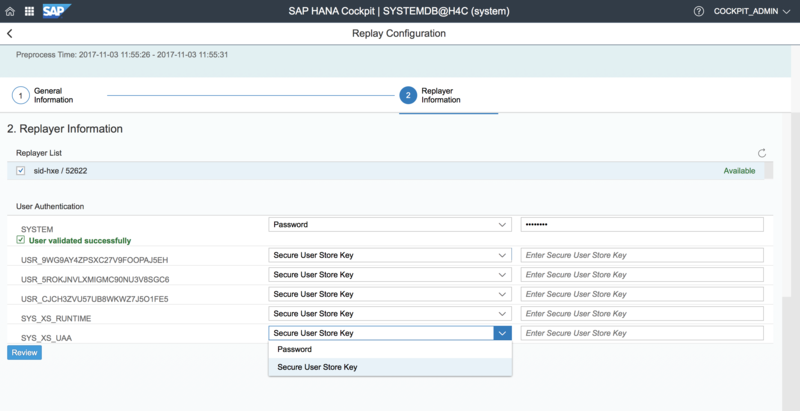 New in SP 04 is the availability of SSO for the SAP HANA cockpit itself. The administration guide documents how you can configure this using the SAP Cloud Platform (SCP) Identity Authentication service as identity provider (IdP) but if you wish to use another IdP that’s perfectly fine as well, of course. 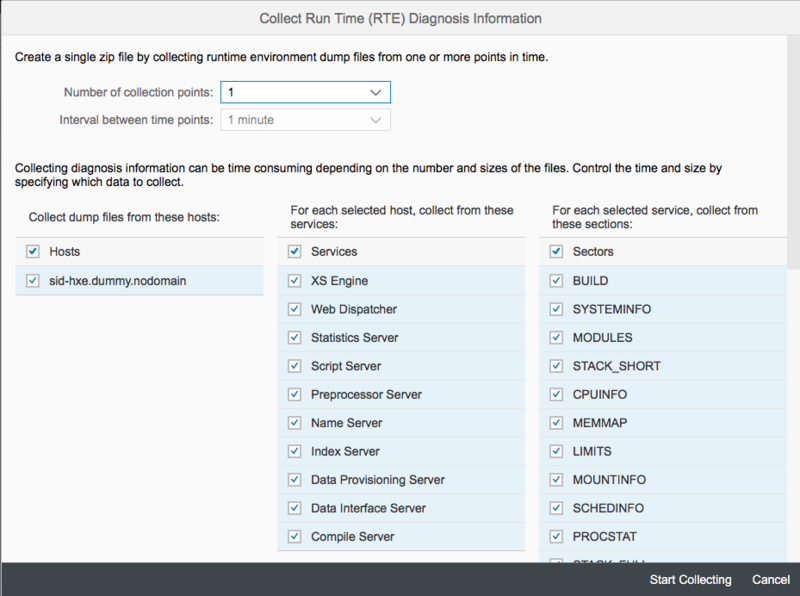 You can now collect diagnostics from both existing files and the SAP HANA runtime environment using SAP HANA cockpit. This is mainly used for support analysis. Previously, to collect this information, you had to either use the command line or use tools that are deprecated or on their way out: SAP HANA cockpit for offline administration and SAP HANA studio. Now that all the functionality of the SAP HANA cockpit for offline administration has been integrated into SAP HANA cockpit 2.0, the link to the offline cockpit is no longer available from the Overview page. 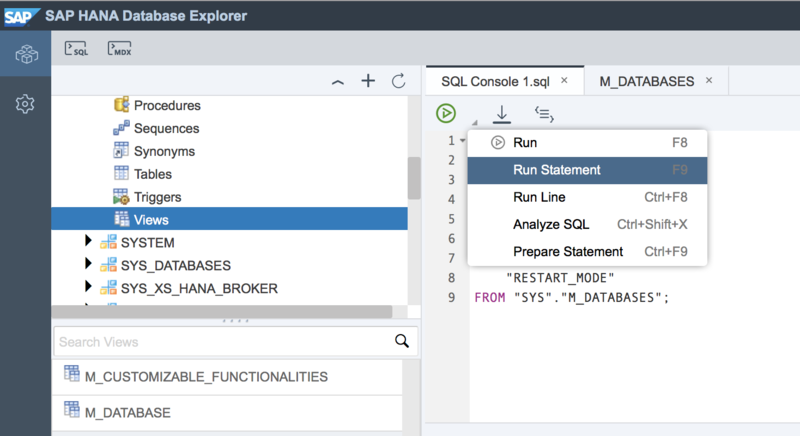 Previously, the SAP HANA database needed to be up and running (with a valid license) before you could register it as a resource in the SAP HANA cockpit. This is no longer required. You can now register a resource with SAP HANA cockpit even when the cockpit is unable to connect to the resource. Once the resource is registered, you can use the cockpit to start it or update its license. A newly registered resource that has an invalid or expired license, are offline or stopped, are listed in the Resource Directory with software version 0.00.000.00.0(UNKNOWN) and state Unknown. You can now filter by type or hostname for Registered Resources and filter by role type for Cockpit Users. For large-scale cockpit deployments, scalability support has been enhanced. You can now create hundreds of resource groups and cockpit users. Previously, the limit was 100 groups and users. SAP HANA cockpit now offers REST APIs that you can use with a third-party tool to register resources, create users and groups, and add users and resources to groups. As of SP 04, you can now also assign privileges to users (assigning privileges to roles was added in SP 03). This concludes the studio-cockpit feature parity for database user and role management. Using the Role page of the SAP HANA cockpit, you can now map LDAP groups to roles If case you are implementing user authorization based on LDAP group membership. Previously, this was only possible using SQL. The Role page now also shows the role type. 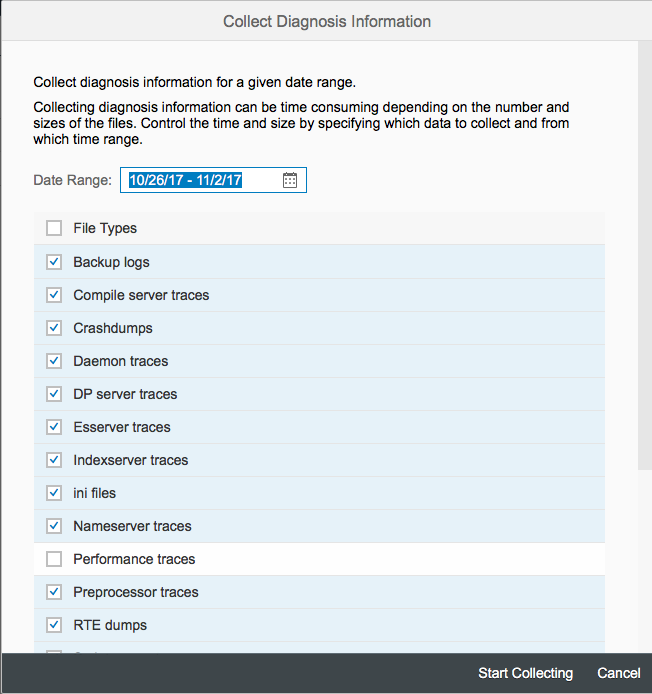 You can use both the file system and the database as audit trail target but if you selected database tables, you can now delete old audit entries using Auditing page of the SAP HANA cockpit. Typical reason might be that you want to avoid the audit table becoming too large. On the Performance Monitor page, you can now import and export collected data. Memory analysis may be required to troubleshoot out-of-memory incidents or to investigate unusual memory usage. As of SP 04, you can now display the details about which allocators are consuming the most memory. It is now possible to disable or enable an existing workload class. This will make it easier to test and evaluate the effectiveness of the workload class. On the Replay Configuration page in the User Authentication area it is now possible to reset the password for the database users captured in the source system. Additionally, on the Overview tab, you can now view a comparison of the SQL statements based on results and runtime information. This makes it easier to focus on SQL statements which have a different performance in the execution time, for example, or to identify the reasons why the replay failed. 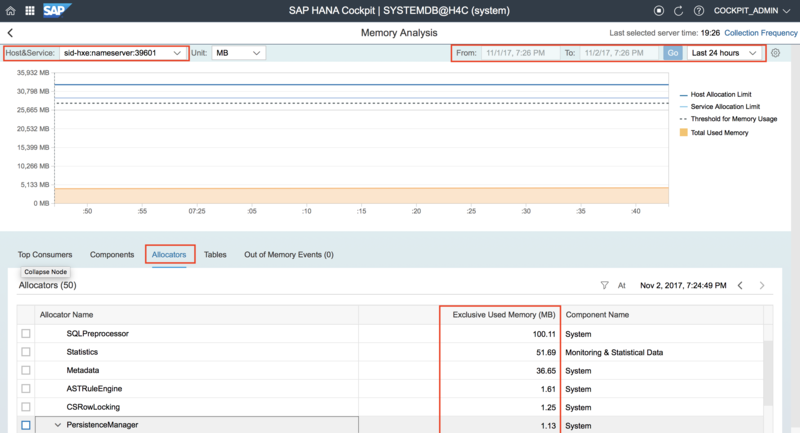 SAP HANA cockpit 2.0 SP 04 introduces new functionality for both the Workload Analyzer Based on Thread Samples and for the Workload Analyzer Based on Engine Instrumentation. On the Thread Samples page, the filters adjustable in the header bar now apply to all charts. For Engine Instrumentation (Capture and Replay), on the Capture Information page, you can now view and compare information on a traced workload and also load the trace. On the Workload Analyzer page, SQL Statements tab, you can now select a particular workload to analyze its Plans and Jobs, and perform a hierarchical analysis of data by adding Request ID to the dimensions. Finally, three new monitoring features are available for system replication. 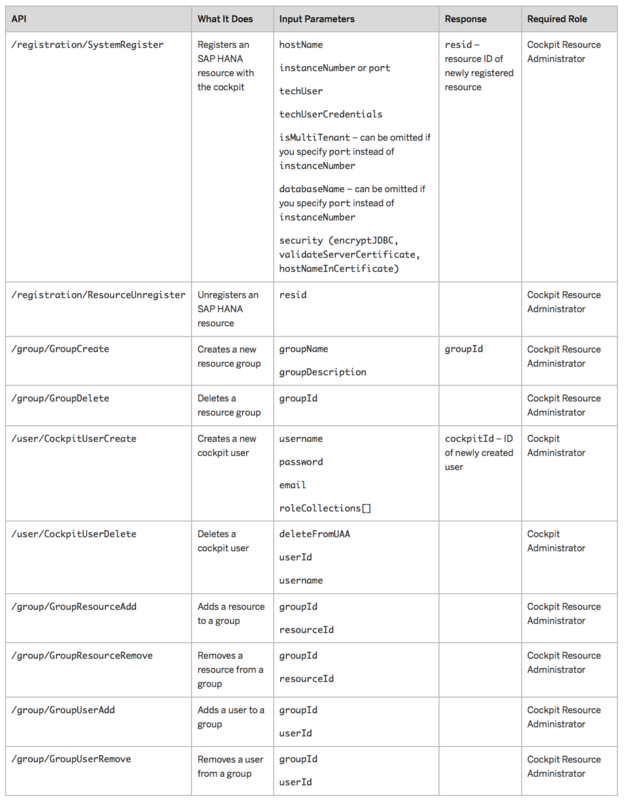 The System Replication Overview page, the tables that provide information on the replicating services also display the corresponding tenant database names. On the Log Shipping Backlog Site 1 to 2 tab, we now get log shipping backlog 24 hours history in a graph displaying different colours should the thresholds set for alert 104 have been surpassed. On the Replicated Services tab, the replication status tenantcopy is now displayed when a tenant is being copied or moved in the primary system. 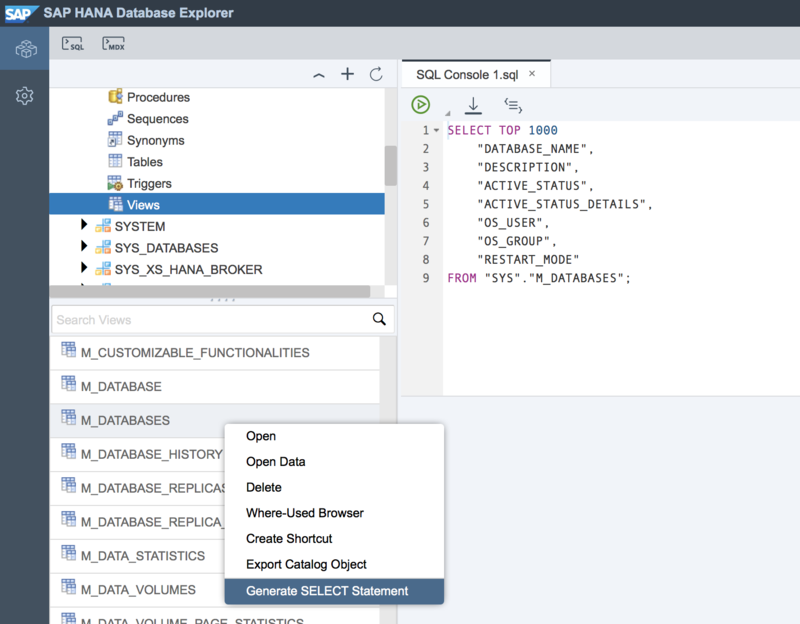 There have been several enhancements to both the Catalog Browser and SQL Console for the SAP HANA Database Explorer which will improve the ease-of-use of this tool. Additionally, the explorer now also has its own guide. The context menu for catalog objects now includes the option to generate the SELECT statement. When you add filters to the result set of Open Data, a counter now shows the number of active filters. Similarly, the Run drop-down menu in the SQL console now contains the Run Statement option (F9) which runs a multi-line SQL statement. The shortcut key for the Analyze SQL option is now Ctrl-Shift-X. Should one of the SQL statements in a script (or sequence of statements) return an execution error, you can now choose whether to ignore the error (and continue with the rest of the statements) or abort.